August 22, 2018 /0 Comments/in For Educators, For Individuals, For Students /by Darko S.
Video games have become an integral part of popular culture, as well as one of the largest industries in the United States. They are a topic of extensive discussion, especially in the media. For more than a decade now, a vast majority of children in the United States engage in playing video games during childhood. Results of a nationally representative study of U.S. teenagers show us that 99% of boys and 94% of girls play video games . Most young kids see video games as a social activity, rather than an isolating one, and they believe video games are a great way to spend time with their peers or even make new friends. While children often don’t see anything wrong with their engagement in video games, and like them because they are fun, exciting, and challenging, parents may worry about the potential negative effects they may have. Some parents may prefer that their children invest their time in other activities out of concern that video games could encourage violence and procrastination, which in turn could lead to neglect of school commitments, and even the development of addiction. In the aftermath of a violent incident or a display of antisocial behavior, the media often links the behavior to video-game use, and paints them as the cause, sometimes regardless of any correlation, which is why parents in turn focus more attention on the potential dangers of video games rather than their benefits. In this way, media can add fuel to the fire without really tackling the issue, leading parents to forget that games are today a normal part of modern childhood and to start believing their children shouldn’t be playing games at all, which can create conflict between them. On the flip side, some psychologists suggest that video games can actually have many benefits, especially bearing in mind that “the nature of these games has changed dramatically in the last decade, becoming increasingly complex, diverse, realistic, and social in nature” [1, 2]. So, in order to understand the impact video games have on children’s development, we need to look at both the positive and the negative effects of these games. Games usually include some puzzles or other problem situations that players need to solve in order to get to the next level. Playing a game such as The Incredible Machine, Machinarium, Angry Birds or Cut the Rope, makes for an excellent workout for children’s minds as they have to use their logic skills and creativity in order to achieve a goal; they have to search, plan, and experiment with different approaches in order to solve puzzles and deal with other problems. Some scientists believe that video games could be used as training tools to develop quicker decision-making. They showed that video-games players had heightened sensitivity towards their environment and were able to make correct decisions more quickly than people who didn’t play games . Some games require the real-world players to keep track of the position of a character, where they are heading and at what speed, at the same time as they must keep an eye on diverse stimuli. The player has to take into account all these factors and then coordinate the brain’s interpretation with the movement of his hands. In order to accomplish all of this, the player requires a great deal of eye-hand coordination and the utilization of visual-spatial ability. Research suggests that people who play video games have better visual-spatial attention skills and are more successful in visual processing of images than non-gamers [5,6]. Meta-analysis studies show that, by playing video games, spatial skills can be acquired in a relatively short time, and that the results are often comparable to formal training designed to enhance the same skills . This effect is well-known, as, nowadays, pilots and surgeons are being trained on video games (you can check out the game which is a validated training tool for laparoscopic motor skills, right here). Being able to effectively and quickly switch between two or more tasks is an important skill in life. It’s been suggested that video games may enhance one’s ability to apprehend and track many shifting variables and manage multiple objectives. Some researchers report that children who played video games performed significantly better compared to other children on a version of the multiple-object tracking task . This multitasking ability can especially be seen in strategy games where a player must take care of lots of different buildings and units and can encounter many unexpected surprises, which forces them to be flexible and change tactics quickly and accordingly. It’s a widespread concern that violent video games promote aggression, reduce prosocial behavior, increase impulsivity, and have a negative effect on children’s mood. Parents are afraid that this is yet another form of media, besides TV shows, movies, comics, etc., where children can encounter violence daily and become desensitized to it. By now, much research has been conducted showing that playing violent video games increases aggression in children, leading to a lack of empathy and prosocial behavior . These studies are usually conducted by having children play an aggressive game (e.g. Grand Theft Auto) and assessing their aggression afterwards. On the other hand, there is also a lot of research that provided evidence of video games having only immediate and short-term effects on aggression, or even that they have the opposite effect – they make children less aggressive, and that, in the long term, video games are not promoting or causing aggression in players in their offline lives . It is still unclear if playing aggressive games really does cause the player to become aggressive. Some would argue that it’s not that games that are making people aggressive, it’s just that gamers who already have aggressive tendencies are more attracted to these kinds of games. If you’re a parent and you have a concern that your child is showing aggressive behavior and is unwilling to talk to you about it, you might want to consider talking with a parent with a similar problem, or even try to find someone who has expertise in the subject. There is no doubt that video games can indeed be highly addictive, as they can lead to behavioral dependency characterized by an excessive or compulsive use of computer or video games, which can interfere with one’s everyday life. On the other hand, the American Psychological Association (APA) concluded that there is not sufficient evidence to determine whether the condition is a unique mental disorder, but they are subjecting gaming to further research (along with caffeine-use disorder and several others) . We can also talk about the consequences that investing too much time in playing games can have on some of the important aspects of children’s lives. Poor academic performance. This is one of the negative consequences of extended and reckless engagement in video games. As with any activity, if children are devoting a lot of their time to playing video games, their school performance can be affected as they’ll have less time for their school obligations. There’s an obvious correlation between these two. Adverse effects on health. 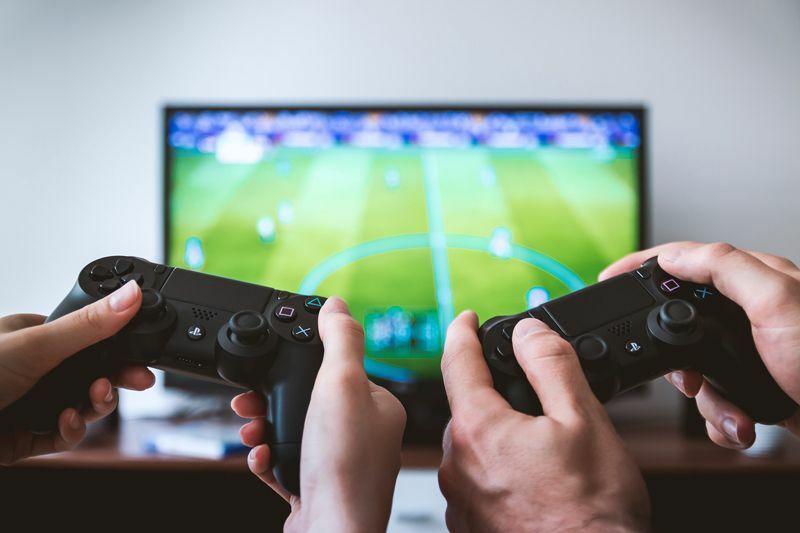 Video games also have an indirect effect on physical health, if children are choosing video games over physical activity (here you can read our take on why children should take up sports). Children who are too invested in games can easily skip meals or even sleep in order to play the games they like. What’s the Verdict? Are Video Games Good or Bad? Video games are neither good nor bad. Technically, video games are just games with a visual component, and can be more social and distracting due to constant availability. They can be used as powerful teaching and skill-honing tools but can also be over-used and have an overwhelming effect on a child’s life if they frequently get angry and frustrated while playing games. It all comes down to appropriate and moderate use. Video games are fun and can sometimes enrich a person’s life and create happiness, but they shouldn’t be used as a substitute for living your own life outside a video game. Young children especially have problems with this line, so parents need to help them by providing understanding, support, and guidance while also imposing rules when necessary. We’ll now take a look at just how parents can help children maximize the benefits of video games while minimizing their potential harm. – Take the time to get to know your children’s habits around video games, but also do the research and know about the content and rating of the video games they play. Try talking with them about their feelings and observations about the games they play in order to understand what drives them to play them. – Set limits on how long and how often your children can play games, and make sure they do it in their spare time, after finishing their homework or chores around the house. Monitor your child’s video game consumption while also showing respect and a willingness to understand their playing time. Modern online games often don’t have a pause button, and currently many popular games are matches played with other people, in real time. So try talking with your child to set up more appropriate restrictions; for example, it might be more appropriate to make a deal and say “1 game” instead of “30 minutes”. – Find a game you can play together, as this can be a good bonding activity for the whole family. If they know more about a particular game than you, you can act as their pupil and see how good they are in the role of teacher. Here you can find some games to play with children of different ages. – Try to use video games to increase children’s school engagement by motivating them to learn through games. There is a large number of educational games to choose from which can help with learning, math, history, etc. Having fun while studying makes children persistent and less likely to quit, as some video games are capable of making difficult subjects fun and easy to understand. If you’re unsure about mixing technology and education, you should definitely read our article on this subject. – If you’re afraid that your child is addicted to playing video games, try to help them recognize their compulsive behavior. Encourage them not to feel guilty or ashamed and be patient with them. If you have trouble communicating how you feel about them excessively playing games, don’t be embarrassed or scared to ask for help. Here on Nobel Coaching & Tutoring, we have amazing Coaches who can help you with this. Ferguson, C. J., & Olson, C. K. (2013). Friends, fun, frustration and fantasy: Child motivations for video game play. Motivation and Emotion, 37(1), 154-164. Green, C. S., Pouget, A., & Bavelier, D. (2010). Improved probabilistic inference as a general learning mechanism with action video games. Current Biology, 20(17), 1573-1579. Trick, L. M., Jaspers-Fayer, F., & Sethi, N. (2005). Multiple-object tracking in children: The “Catch the Spies” task. Cognitive Development, 20(3), 373-387. Green, C. S., & Bavelier, D. (2006). Effect of action video games on the spatial distribution of visuospatial attention. Journal of experimental psychology: Human perception and performance, 32(6), 1465. Green, C. S., & Bavelier, D. (2007). Action-video-game experience alters the spatial resolution of vision. Psychological science, 18(1), 88-94. Anderson, C. A., Shibuya, A., Ihori, N., Swing, E. L., Bushman, B. J., Sakamoto, A., … & Saleem, M. (2010). Violent video game effects on aggression, empathy, and prosocial behavior in Eastern and Western countries: A meta-analytic review. Psychological Bulletin, 136(2), 151. Kühn, S., Kugler, D. T., Schmalen, K., Weichenberger, M., Witt, C., & Gallinat, J. (2018). Does playing violent video games cause aggression? 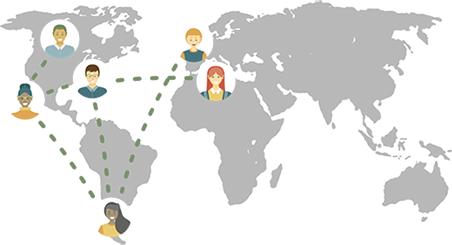 A longitudinal intervention study. Molecular psychiatry, 1.